Director of Photography, Cinematographer & Camera Operator who has a track record of delivering the best results no matter what the budget, schedule or the amount of crew. Anna enjoys working with the Director and Producers to turn the production’s vision into a reality. Project Planning,	Kit and Crew Arranging,	2nd Unit. DOP on Feature Film ‘Ambleton Delight’ Won 3 awards including ‘Best Feature Film' at The British Independent Film Festival & 'Best UK Feature' at The End of the Pier International Film Festival. Shot in 10 days on a budget of £5000. Camera Operating for DOP Sue Gibson BSC on feature film ’31 North 62 East’ whilst Sue was the President of the British Society of Cinematographers. Mentored in Cinematography for a year by DOP Henry Braham BSC on the film ‘The Golden Compass’ allowed Anna to understand how to work with production designers and colourists to get the highest standard of production. Invited onto the Judging Panel Guild of Television Cameramen Awards of Excellence 2015 & University Awards 2013 – 2015. I have worked with Anna Carrington on a number of jobs and she is always a pleasure to collaborate with. 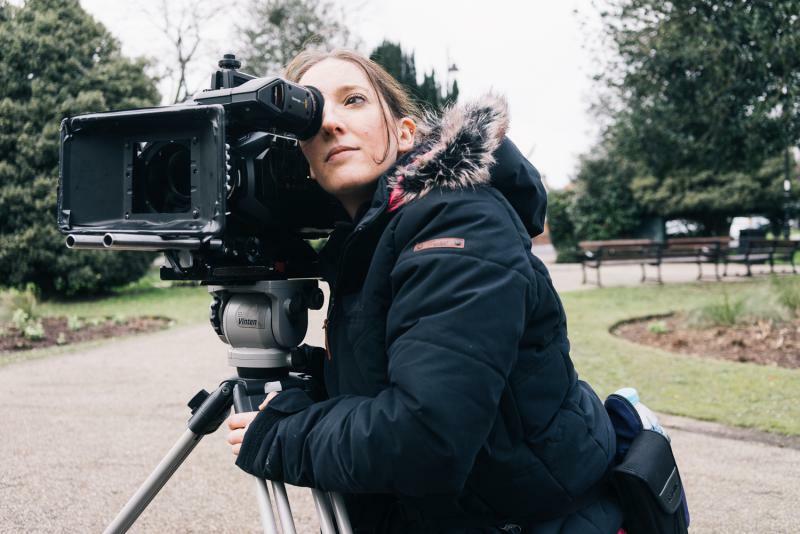 As a DOP, her knowledge is almost encyclopaedic; I will always be grateful to her for her advice, support and regular communication throughout the pre-production and production of my first short film, 'The View'. Her efforts on the film won her the 'Best Director of Photography' award at the 'End of the Pier International Film Festival' in 2009. If you're looking for a friendly, knowledgable DOP/Camera Operator who knows her onions, look no further. I'd love to work with Anna again in the not-too-distant-future.